For the Conflux festival in Brooklyn, New York, september 13 until september 16, Dutch artist Sander Veenhof developed a walking project, loosely based on the principles of the classic psychogeography. Conflux is the annual (RL) New York festival for contemporary psychogeography, the investigation of everyday urban life through emerging artistic, technological and social practice. 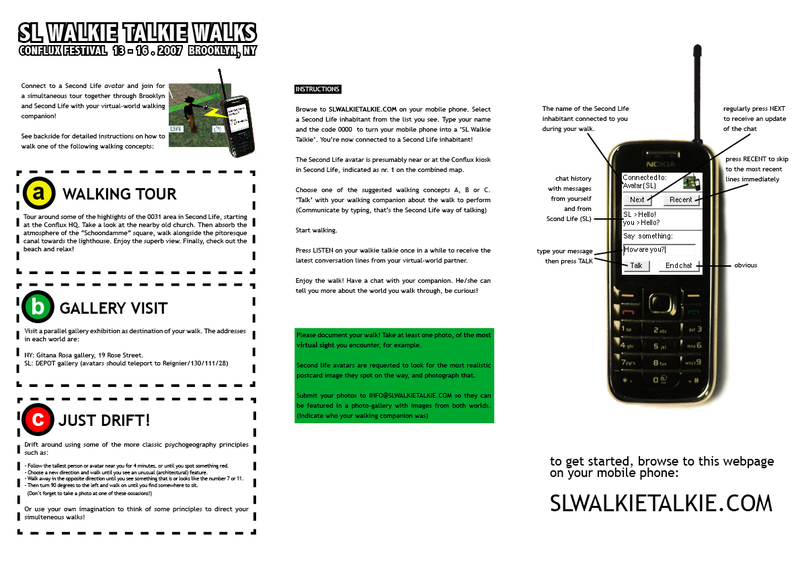 With the walkie talkie walks festival attendees will be given the opportunity to experience their surroundings by being accompanied by a Second Life avatar using specially developed walkie talkie devices. 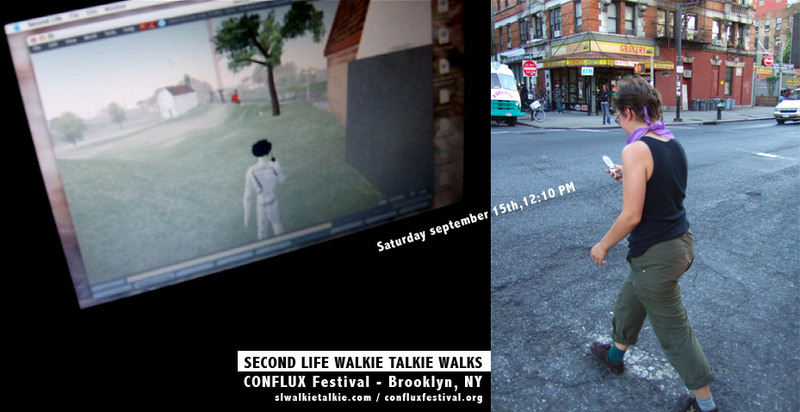 In this project two real life persons will be performing a simultaneous walk together, one being on the street in Brooklyn, New York, the other behind a computerscreen, using the Second Life avatar. 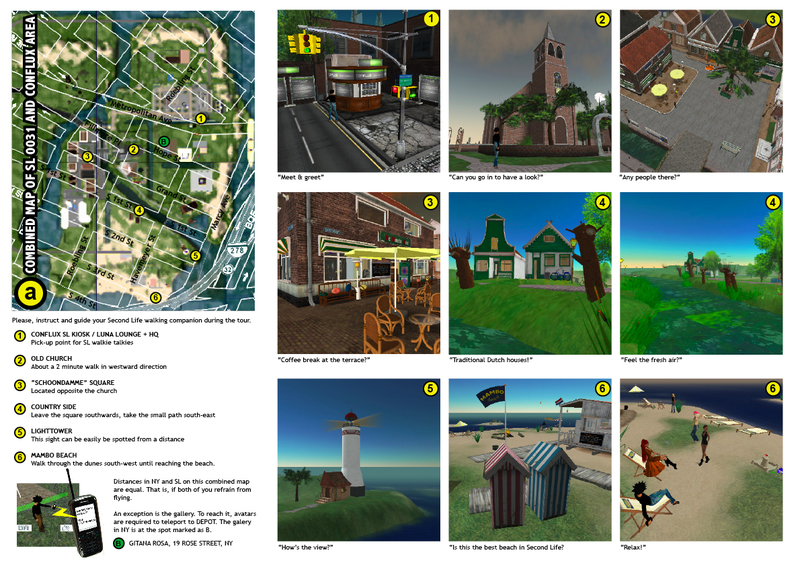 Second Life inhabitants are invited to participate in this project and join a New York festival attendee for a simultaneous walk. Walkie talkies can be picked up for free at the 0031 area at the hours mentioned below. 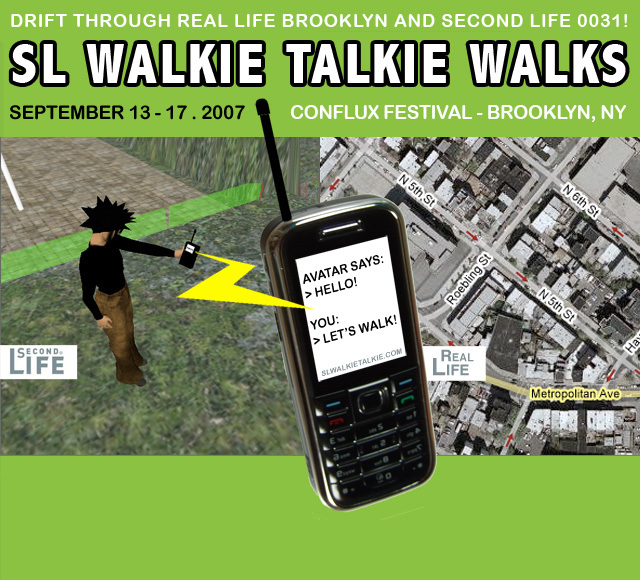 Festival attendees will check out the available Second Life walking companions by browsing a list on http://slwalkietalkie.com on their mobile phone. 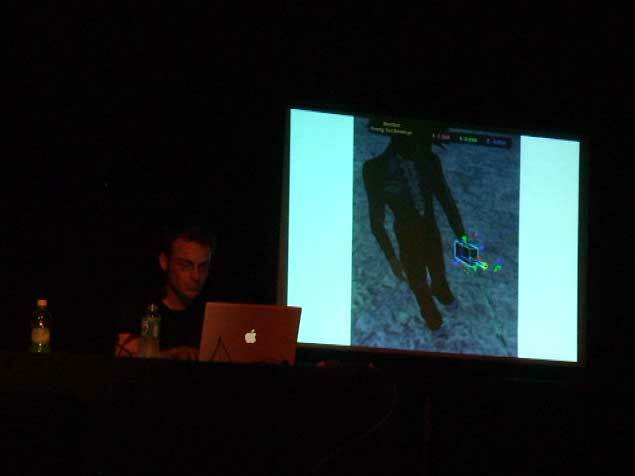 Clicking on one of the avatar names turns the phone into a walkie-talkie communication device connected to the Second Life avatar of choice. From september 13 until october 14 there will be an exhibition related to the subject of psychogeography at DEPOT art gallery with works by Rogier Verkade and Cathelijn van Goor. The works by Cathelijn van Goor are also to be seen in RL at the Gitana Rosa Gallery in New York from september 14 until october 14. Both RL and SL galleries can be visited as part of the walks.